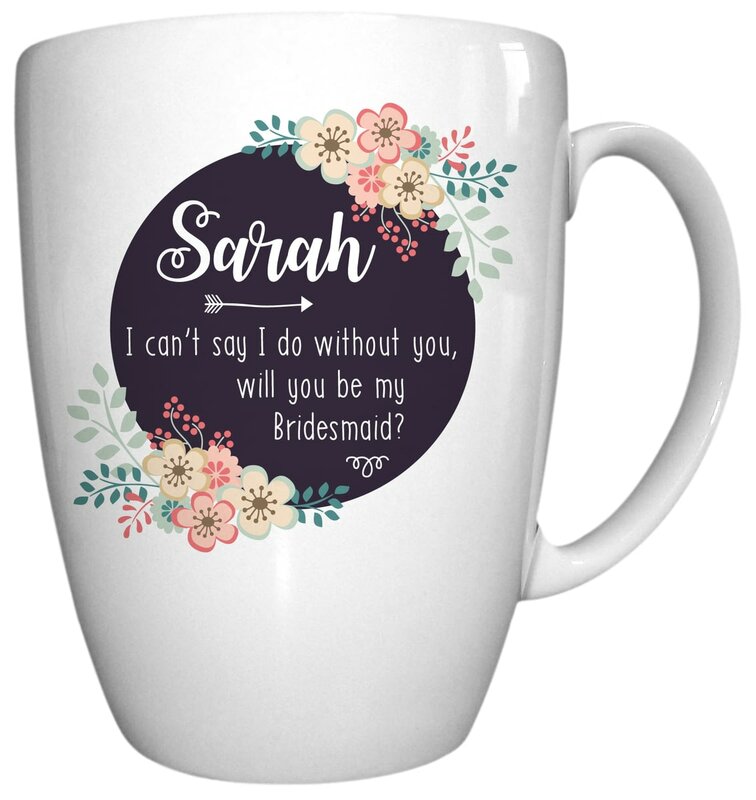 Ask your closest friend or a loved one to stand by you on the most important day of your life with this personalised floral mug. Simply add their name of up to 20 characters and their role and the message will read "[NAME], I can't say I do without you. Will you be my [ROLE]?" Ask your closest friend or a loved one to stand by you on the most important day of your life with this personalised contemporary mug. Ask your closest friend or a loved one to stand by you on the most important day of your life with this personalised floral chocolate bar. Ask your closest friend or a loved one to stand by you on the most important day of your life with this personalised floral trinket box. Ask your closest friend or a loved one to stand by you on the most important day of your life with this personalised floral T-light holder. Ask your closest friend or a loved one to stand by you on the most important day of your life with this personalised chocolate bar. Ask your closest friend or a loved one to stand by you on the most important day of your life with this personalised contemporary whisky glass. Ask your closest friend or a loved one to stand by you on the most important day of your life with this personalised contemporary glass tankard. Ask your closest friend or a loved one to stand by you on the most important day of your life with this personalised contemporary hi ball glass.